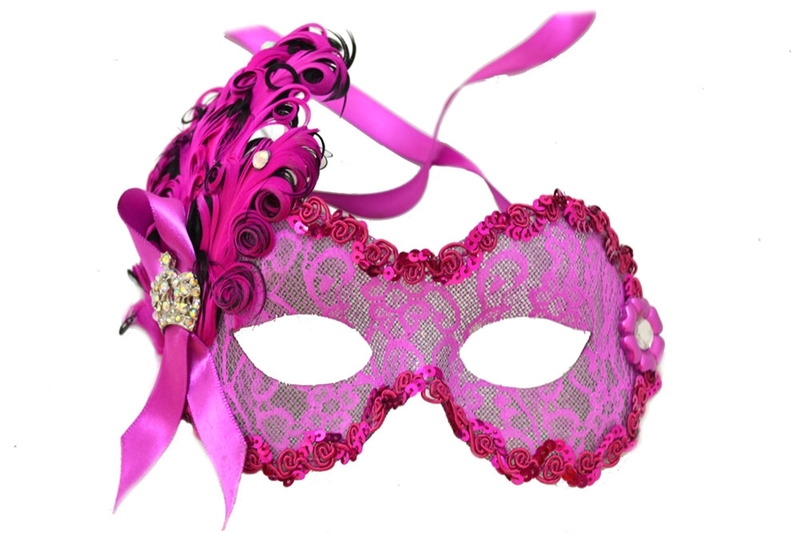 This pink Flourish Masquerade fashion mask is adorned with an exotic feather pad & button jewels. It is edged with a sequin braid and secures with ribbons. Each mask is an original design and hand decorated in the USA by talented artists.